Please see the previous article at http://ponnadi.blogspot.in/2014/01/virodhi-pariharangal-9.html. Translator's note: Let us have a detailed analysis of this subject before entering in to the actual obstacles/hurdles. There is so much misconception in this topic on what to do and what not to do. Our anushtAnam consists of many aspects. Here the focus is more on how we should conduct ourselves with respect to the core principles of our sampradhAyam. That is, understanding the difference between karmam and kainkaryam. While karmam is sAmAnya (varNAsrama - bodily) dhamam which is essential/mandatory to follow, kainkaryam is visEsha (svarUpa - for the soul) dharmam which is even more important than sAmAnya dharmam. This principle is most important for us to understand. One can never give up varNAsrama dharmam. In mumukshuppadi sUthrams 270 and 271, this principle is explained wonderfully - in 270 avathArikai mAmunigaL says "there is certainly no svarUpa thyAgam of karma, gyAna, bhakthi yOgams" (which means it is only upAya budhdhi thyAgam - i.e., the karmA should be done but it should not be considered as upAyam/means to attain bhagavAn and it should be considered as kainkaryam) - we do not do anything as upAyam to please bhagavAn to get something in return. All nithya (daily - sandhyA vandhanam, etc) and naimiththika (tharpaNam, etc) karmams must be done as kainkaryam. This is highlighted in the next sUthram "karmam kainkaryaththilE pugum..." (கர்மம் கைங்கர்யத்திலே புகும் - karmam will fall under kainkaryam) - who else other piLLai lOkAchAryar and mAmunigaL can explain this better. But when does such sAmAnya kainkaryam become secondary? mAmunigaL explains this in the vyAkyAnam for azhagiya maNavALa perumAL nAyanAr's AchArya hrudhayam for chUrNikai 31 - "aththANi chEvagaththil podhuvAnathu nazhuvum" (அத்தாணிச் சேவகத்தில் பொதுவானது நழுவும்). mAmunigaL explains in the vyAkyAnam that when we are engaged in bhagavath/bhAgavatha kainkaryam, sAmAnya kainkaryam takes back seat and can be delayed/skipped. Nowadays, it is common to see many srIvaishNavas not performing basic anushtAnams saying that "it is not necessary for srIvaishNavas". But our pUrvAchAryas clearly demonstrated that it is absolutely necessary for us to perform sAmAnya kainkaryams (karma anushtAnam) and they themselves performed these without fail - because they were strictly abiding by sAsthram. Only when there was a conflict with bhagavath kainkaryams, sAmAnya kainkaryams were given up temporarily. In 6000 padi guru paramparA prabhAvam, nampiLLai is once questioned why we perform nithya/naimiththika karmAs when we refuse to worship other dhEvathas. nampiLLai clearly explains that as nithya/naimiththika karmAs are part of vaidhIka anushtAnam (that which is part of vEdham), we perform them. periyavAchAn piLLai explains in parantha rahasyam charama slOka prakaraNam (section) "nammAchAryargaL ivaRRai anushtippArum anushtiyAthArumAyp pOrugiRathu" (நம்மாசார்யர்கள் இவற்றை அனுஷ்டிப்பாரும் அனுஷ்டியாதாருமாய்ப் போருகிறது) - Some of our AchAryas have shown that varNAsrama duties have to be performed (when there is no conflict with kainkaryam) and othes have shown that varNAsrama duties can be skipped (when there is conflict with kainkaryam). We can understand this principle from the following examples: emperumAnAr performed sandhyA vandhanam and gave arghyam standing up (as mandated in sAsthram) even when he was 120 years old. bhattar continued to perform fanning kainkaryam to namperumAL skipping his sandhyAvandhanam. So, the principle of performing sAmAnya kainkaryam is based on whether we are engaged in confidential bhagavath/bhAgavatha kainkaryam or not (not whether I want to perform sAmAnya dharmam or not). This principle is further explained in srIvachana bhUshaNa dhivya sAsthram by piLLai lOkAchAryar and beautifully explained by mAmunigaL in sUthrams 276 to 278.
sUthram 276 - kainkaryam is of two categories. sUthram 277 - performing desirable acts and avoiding undesirable acts are the two categories. sUthram 278 - desirable and undesirable acts are based on varNAsrama dharmam and Athma svarUpam. For this small sUthram, mAmunigaL writes a long and comprehensive commentary analysing the various aspects. He explains the principle from a few different view points and then finally says "if giving up varNAsrama dharmam is what to be considered as necessary, that will directly contradict the desire of bhagavAn (and pirAtti). So that cannot be considered reasonable". So he says that it is better to consider that varNAsrama dharmam is performed out of mercy towards others (so that every one collectively will benefit by following varNAsrama dharmam and srIvaishNavas facilitate such improvement for everyone by their own proper conduct in varNAsrama dharmam). Finally, while it is seen that our pUrvAchAryas fully abided by sAsthram and performed nithya (daily) and naimiththika (periodical) karmAs, they never engaged in kAmya karmAs - those karmAs which are done for material benefits. nithya and naimiththika karmAs are mandatory - non-performance of the same is condemned in sAsthram. But kAmya karmAs are the ones that are optional - the ones who are behind material opulence engage in such acts. Thus it is better for us to follow in the foot steps of our pUrvAchAryas and apply the principles as shown by them. Let us see the obstacles in this topic now. Performing a routine which does not fall under AchArya kainkaryam, bhagavath kainkaryam and bhAgavatha kainkaryam. These 3 are natural for our svarUpam to be engaged in. Whatever performed outside the boundary of these 3 kainkaryams is an obstacle. Among the previously mentioned 3 kainkaryams, one should not think that only bhagavath kainkaryam is natural and AchArya (and bhAgavatha) kainkaryam is additional. Just like bhagavath kainkaryam is nirupAdhikam (natural - not based on an explicit reason), Acharya kainkaryam is also natural. It is explained in praNavam that the jIvAthmA is naturally subservient to bhagavAn. As AchAryas/bhAgavathas are very dear to emperumAn, kainkaryam to them is also natural for jIvAthmAs. Translator's note: In periya thirumozhi 8.10.3, thirumangai AzhwAr announced the essence of thirumanthram (ashtAkshari) to emperumAn himself as "nin thiruvettezhuththum kaRRu nAn uRRathum unnadiyArkkadimai kaNNapuraththuRaiyammAnE" (நின் திருவெட்டெழுத்தும் கற்று நான் உற்றதும் உன்னடியார்க்கடிமை கண்ணபுரத்துறையம்மானே) - Dear lord of thirukkaNNapuram! After learning the essence of thirumanthram I understood that I am a servitor of your devotees. From this, it is easy to understand that the essential principle is to be a servitor of the AchArya and bhAgavathas even more so than bhagavAn. Anrusamsyam - compassion. lOka sangraham - welfare of world (by following sAsthram). sAmAnya kainkaryams (basic varNAsrama dharmam) is performed by srIvaishNavas out of AnrusamsyArththam (great compassion towards general public) and not lOka sangrahArththam (to maintain principles of sAsthram for the welfare of the world). In gIthai 3.22 kaNNan emperumAn says that there is no prescribed duties for him, yet he engages in the actions that are bound by sAsthram during his various incarnations. Translator's note: In the previous slOkam 3.21, bhagavAn says that whatever performed by the great men in the society, common men follow such deeds. So, our pUrvAchAryas engaged in performing sAmAnya kainkaryams (varNAsrama dharmam) out of great compassion. The subtle difference between Anrusamsyam and lOka sangraham is in the purpose and the attitude. Doing it out of compassion (that it is bhagavAn's desire and orders that varNAsrama dharmam is essential in material world and the leaders should perform it so others will follow and progress spiritually) vs doing it for as being role models (the tinge of ahankAram that I am doing this perfectly so others to follow and flourish). Any act which is not fitting truly for the jIvAthmA's nature but done out of compassion does not become part of kainkaryam. Considering them as part of kainkaryam is an obstacle. Translator's note: jIvAthmA's true nature is to be eternally serving bhagavAn/bhAgavathas - any thing done outside that just out of compassion (without specific reference in sAsthram) should not be considered by oneself as kainkaryam. When emperumAn is present in front of us (as part of procession or in his sannidhi in an assembly), one should not give up that presence and perform sAmAnya dharmams (like sandhyA vandhanam, etc) highlighting ones compassion towards others. Only after emperumAn returns to his sannidhi, one should leave him and go back to their routines. Translator's note: It is explained in parama samhithai "yEna yEna dhAthA gachchathi thEna thEna saha gachchathi" (யேந யேந தாதா கச்சதி தேந தேந ஸஹ கச்சதி) - wherever the supreme lord goes, his devotees (mukthAthmAs in this case) follow. This can be understood from bhattar's life as cited before. When he was once fanning emperumAn and it was time for sandhyA vandhanam, one srIvaishNava reminds bhattar about that. bhattar replies "If I skip sandhyA vandhanam at the moment due to my engagement in serving emperumAn directly, chithra gupthan (yama dharma rAja's assistant) will not count this as a sin". It is said that, when emperumAn goes out on procession, every one must accompany him for his protection and to be in his company until he returns back to his sannidhi. So, as per our pUrvAchAryas, while engaged in kainkaryam, one can delay karmAnushtAnams. When srIvaishNavas are engaged in discussing/enjoying bhagavAn's divine qualities, one cannot leave the gOshti in the middle saying that they have to perform sandhyA vandhanam, etc. Though they are performed out of compassion for the upliftment of others, they cannot be done at the cost of giving up bhagavath/bhAgavatha anubhavam. Engaging in actions that were not performed by our pUrvAchAryas. ANdAL nAchiyAr says "cheyyAthana cheyyOm" (செய்யாதன செய்யோம்) in thiruppAvai 2nd pAsuram indicating this principle. kainkaryam should not be performed with any specific purpose other than doing it naturally for the pleasure of emperumAn. One should perform kainkaryam for the pleasure of bhagavAn instead of what is pleasing to oneself. nammAzhwAr declares in thiruvAimozhi 2.9.4 "thanakkEyAga enaik koLLum IdhE" (தனக்கேயாக எனைக் கொள்ளும் ஈதே) - Please engage me in your service fully for your pleasure (I dont want to anything which is not exclusively for bhagavAn's pleasure - there should be no tinge of self-desire while performing kainkaryam). iLaya perumAL (lakshmaNan) also requested srI rAma and sIthA pirAtti to order him to perform services that pleases them exclusively. ANdAL nAchiyAr also prays for the same thing in the end of thiruppAvai "maRRai nam kAmangaL mARRu" (மற்றை நம் காமங்கள் மாற்று). Thus, we have seen the importance of performing all kainkaryams (including bhagavath AgyA kainkaryams, i.e., nithya/naimitthika karmAnushtAnams) with the sole focus on bhagavAn's pleasure in this section. We have also seen how one should not perform kainkaryam with the expectation of something in return - kainkaryam should be done solely for the pleasure of emperumAn as it is natural for srIvaishNavas to be engaged in kainkaryam. Only emperumAnAr (srI rAmAnuja) and maNavALa mAmuni (srI vara vara muni) are seated in this place right underneath the lotus feet of nammAzhwAr - very unique dharshan. Here is a list of videos recorded during AzhwAr thirunagari adhyayana uthsavam 2014. Note: Many thanks to temple administration, archakas, arayars, kainkaryaparas for facilitating the recording of these wonderful occasions. kanu is the next day after makara sankarAnthi. This is the day specifically meant for girls and women. Women would go to their parents residence and get their blessings. kanu uthsavam is celebrated in a grand manner for thAyAr in vAnamAmalai dhivya dhEsam. ponnadikkAl jIyar, the dear and foremost sishya of maNavALa mAmunigaL, established vAnamAmalai mutt per the orders of mAmunigaL. Once he was travelling to thirumalai/thirupathi on a yAthrai. At that time, the local kainkaryaparars finds a vigraham of thAyAr there. They decide to install the thAyAr there itself. But thAyAr appears in the dreams of the kainkaryaparas and orders them to give the vigraham to ponnadikkAl jIyar. When they present the vigraham to ponnadikkAl jIyar, he affectionately accepts thAyAr as his own daughter since that is the divine will of thAyAr herself. jIyar then brings her over to vAnamAmalai, arranges for her grand marriage with dheivanAyagan emperumAn and takes care of all the activities at the temple. Following the tradition, all the jIyars of this vAnamAmalai mutt are considered to be the father of thAyAr herself. Since that time thAyAr arrives at the mutt every year during kanu uthsavam sARRumuRai (last day) along with perumAL and stays for the whole day. kanu uthsavam itself is celebrated for 7 days. Every day thAyAr goes for a divine procession in the streets around the temple. The last day, thAyAr and perumAL visit the mutt and spends the most of the day there. In the morning perumAL and thAyAr enjoy a beautiful/grand thirumanjanam with the recitation of panch sUktham, pancha sAnthi, etc by the srIvaishNava gOshti. After that they leave the temple and reach the outside of the mutt (which is located just outside the temple). Mutt's thiruvArAdhanam perumALs are moved aside and perumAL/thAyAr are facilitated to be seated in the main thiruvArAdhanam of the mutt. ponnadikkAl jIyar stays close to thAyAr and perumAL and performs mangaLAsAsanam to them. When thAyAr and perumAL arrive at the temple, jIyar swamy's kAshAya vasthrams are spread on the path to welcome thAyAr and perumAL in his pallakku. ponnadikkAl jIyar and current jIyar swamy arrive and welcome thAyAr and perumAL. jIyar swmay welcomes the srI pAdham thAngis (ones who carry thAyAr and perumAL) and washes their feet at the entrance. After arriving inside the mutt, thAyAr and perumAL are presented with new vasthrams, etc. thiruvArAdhanam is performed and thIrtham, prasAdham are distributed for everyone. thadhIyArAdhanam is also done after that for everyone. In the evening, thAyAr and perumAL adorn a divine ornament called makara kaNdigai which is made of valuable gems. thiruvArAdhanam is performed followed by thIrtham and prasAdha viniyOgam including sugarcane for kanu uthsavam. Finally, ponnadikkAl jIyar bids farewell to his daughter (thAyAr) and son-in-law (perumAL) and they return to the temple. ponnadikkAl jIyar waits until they enter the inside of temple and returns to the mutt. thAyAr and perumAL goes directly to paramapadha vAsal (gate). thirumangai AzhwAr and emperumAnAr along with other AzhwArs and mAmunigaL wait outside the paramapadha vAsal. After vEdha viNNappam and panchAnga sravaNam, paramapadha vAsal is opened. thAyAr and perumAL enjoys patthi ulAtthal (procession) outside the paramapadha vAsal hearing thiruviruththam gOshti by srIvaishNavas. thAyAr, perumAL, AzhwArs and AchAryas return to rA pathu maNdapam. Grand assembly of perumAL along with thAyArs and ANdAL nAchiyAr, AzhwArs and AchAryas. Since nammAzhwAr is not present in this dhivyadhEsam separately, thirumangai AzhwAr is present in place of nammAzhwAr. Uniquely, nammAzhwAr is present in srI satagOpam (satAri) itself. In upadhEsa rathina mAlai, mAmunigaL brings out the divine glories of ANdAL nAchiyAr. He declares that ANdAL's bhakthi and the manifestation of her bhakthi are much greater than the same from AzhwArs. He further says, that just happily glorifying her is the best action for our heart. This year, adiyen had an opportunity to participate in the divine nIrAttam uthsavam (day 7) in srIvilliputhUr dhivya dhEsam. This article brings out the sequence of celebrations and some pictures from the same. Full set of pictures can be viewed at https://plus.google.com/photos/107723698299182214927/albums/5969374983194801345. perumAL inside parampadha vAsal (gate) and AzhwAr/emperumAnAr outside the gate. Return puRappAdu for perumAL, nAchiyArs, sEnai mudhaliyAr, nammAzhwAr and emperumAnAr – everyone is fully covered during this quiet puRappAdu in the late night. On the night of vaikuNta EkAdhasi, nammAzhwAr goes to perumAL sannidhi to get niyamanam (order) for starting thiruvAimozhi festival (rA pathu). First he goes there in his palanquin upto the main entrance of the sannidhi. From there two archakas carry him in their hands with pandhams (lights), chathram, chAmaram, etc. arayar swamy recites aruLappAdu (glorifications) with his (thALam) cymbals facing AzhwAr and AzhwAr slowly walks towards perumAL. He reaches the inner sanctum of perumAL and is placed directly in front of perumAL. He requests emeprumAn to give permission to start the uthsavam and invites him to the rA pathu maNdapam. emperumAn agrees happily and then AzhwAr returns from there back to his sannidhi. After thirumanjanam for AzhwAr, he along with emperumAnAr goes to rA pathu maNdapam. perumAL with his nAchiyArs, sEnai mudhaliyAr and all other AzhwArs and AchAryas reach rA pathu maNdapam in the mean time. arayar recites one centum of thiruvAimozhi every day starting on 1st day of rA pathu. Following day, adhyApakas will recite the same centum in gOshti. arayar sEvai in front of perumAL behind closed curtains. 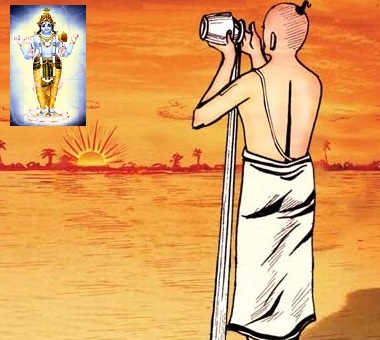 gOshti sEvAkAlam outside the closed curtains – it is said that emperumAn happily enjoys AzhwAr’s thiruvAimozhi alone and may even shake his heads in bliss – which is not to be seen by any one. That is why curtains are closed during recitation. Every day perumAL comes through paramapadha vAsal (gate) and AzhwAr waits for him at the other side. But last day, AzhwAr comes out of paramapadha vAsal indicating perumAL blessing us with AzhwAr. Second in the evening for polindhu ninRa pirAn and AzhwAr who sung the iyaRpA prabhandham that is being recited - after paramapadha vAsal opening, inside the temple. Note: There may be minor changes once dhanur mAsam completes. Also, timings are approximate and change according to situation.